Fall Lip Shades You Can Rock! Autumn is officially here! Can we all just rejoice and pull out the oversized sweaters, tall boots and start diving into pumpkin spice lattes and oh yeah , Autumn makeup! If you follow me on Instagram you might have seen this picture . Not only am I rock’n my tall boots alongside a monochromatic wardrobe but I’m also wearing this falls lip trend : dark, bold , vampy and almost gothic like lips. In both photos I’m wearing the same shade, Vintage by NYX. 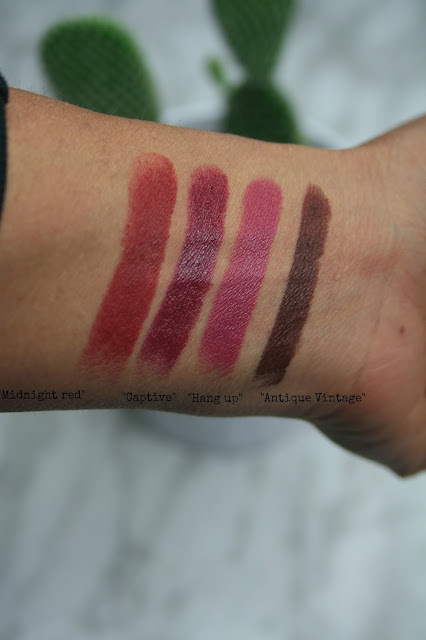 In the spirit of Autumn here are my favourite lip shades. It’s really no surprise that NYX would be my go-to brand for matte liquid lipsticks. IMO NYX creates some of the most vibrant , pigmented and long wearing liquid lipsticks on the market. I can’t forget to mention that they are very budget friendly ($9). The NYX Suede line is my absolute favourite. I wear “Soft Spoken” to work a lot! It’s a pink undertone and lasts more than 7 hours on my lips and that’s after eating and drinking all day. “Antique Velvet” by MAC is a perfect dark matte brown and wish I had bought it earlier to wear for my fall blog shoot! 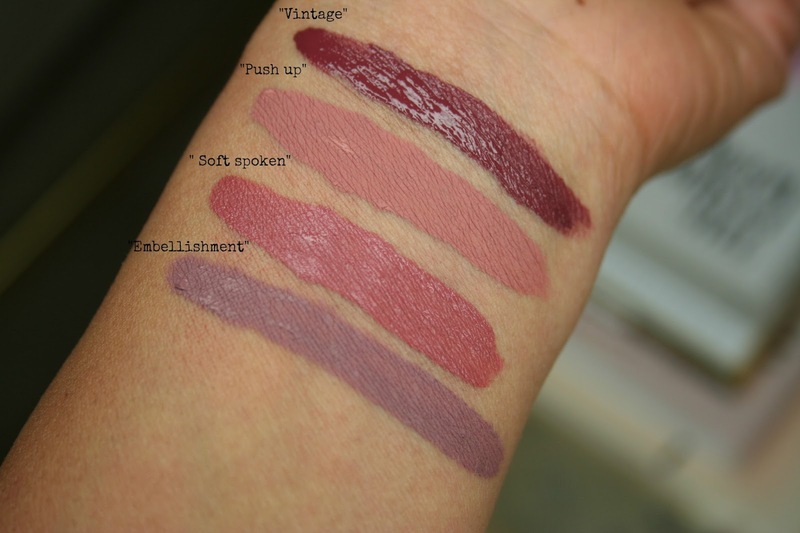 It swatches beautifully and looks great on almost any skin tone really. I can’t tell you for how long I’ve been looking for a matte brown reminiscent of the 90’s look and I finally found it! Captive and Hang-Up are also from MAC and have been staples in my Autumn makeup bag since last year. They are more berry tones and are a satin and cremesheen finish. I wear these more for going out then going to the office, but you can definitely rock a berry lip around the water cooler, whatever works for you ! 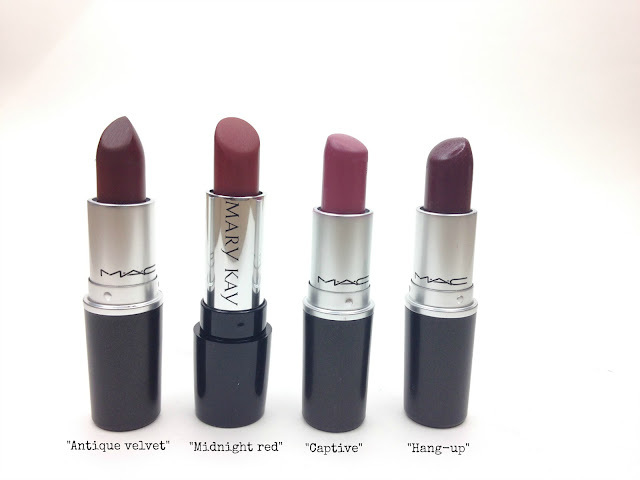 Midnight red was sent to me as a PR sample from Mary Kay. I instantly feel in love with it and captured it on Instagram here. It reminds me a lot of “Red Ochre” eyeshadow from the ABH Renaissance palette. Take a look at this photo and tell me I’m not dreaming! It’s a gel semi-matte finish and long wearing (about 5 hours). As you can see from the swatch it’s highly pigmented and only took 1 swipe to achieve this colour. 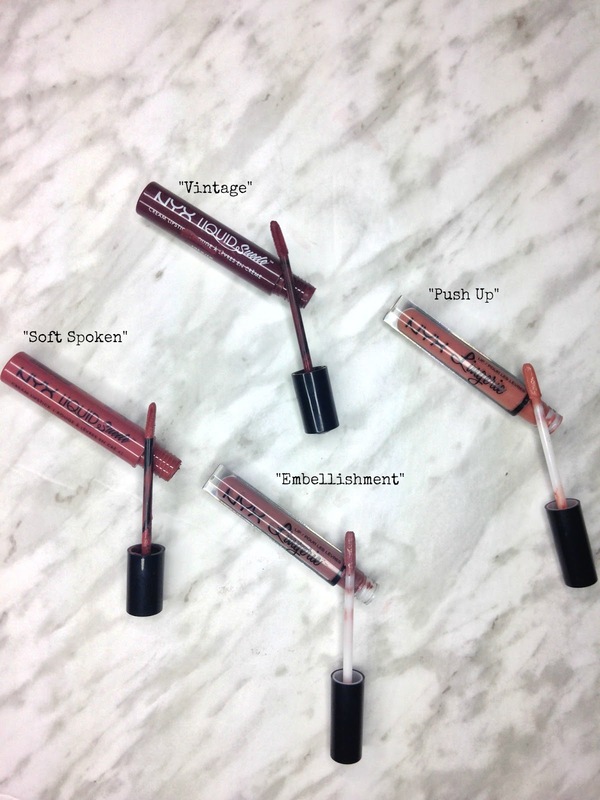 Do you prefer a liquid lipstick or the traditional lipsticks? Do you have a favourite Fall lip colour? Leave me a comment below as I’m always looking for new lip shades to add to my collection ! Disclaimer: This is not a sponsored post. I bought all the lipsticks, with the exception of the Mary Kay Midnight Red”” that was sent to me as a PR sample. I was not compensated for this post and the opinions expressed in this post are my own. My Vichy Tient Idéal Collection Review + Experience!